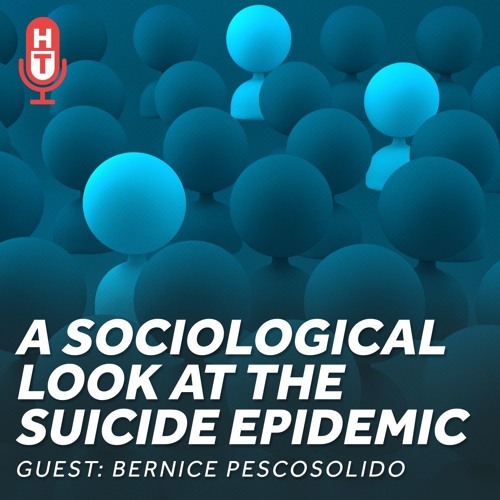 Aaron's guest this month is Dr. Bernice Pescosolido, who is a medical sociologist at Indiana University. Dr. Pescosolido studies the environments, neighborhoods, and connections that contribute to patients' identities, and looks how this social fabric works or doesn't work for some people. Particularly, Dr. Pescosolido studies the rising suicide rates in the United States, and tries to track the pathways that have led victims to suicide. She also studies what kind of social factors contribute to how patients come into contact with (or don't manage to engage with) the medical system. The Healthcare Triage podcast is sponsored by Indiana University School of Medicine whose mission is to advance health in the state of Indiana and beyond by promoting innovation and excellence in education, research and patient care. IU School of Medicine is leading Indiana University's first grand challenge, the Precision Health Initiative, with bold goals to cure multiple myeloma, triple negative breast cancer and childhood sarcoma and prevent type 2 diabetes and Alzheimer’s disease.